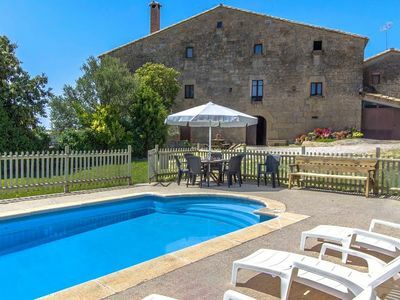 Fantastic historic Catalunya Casas gem with 3 apartments for a total capacity of 15 people, located in the most natural and rural area surrounded by mountains and rivers, with easy access to Barcelona! 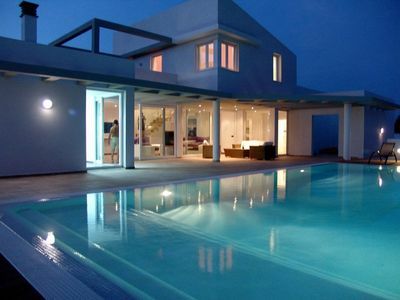 The fantastic Villa Torra was constructed in 4 phases beginning in the 12th century, and was renovated in 2000. Villa Torra consists of 3 apartments (in one building) with a total capacity of 15 guests (6 bedrooms, 3 full bathrooms, and 1 WC). The apartments are independent, but the property is rented in its entirety. 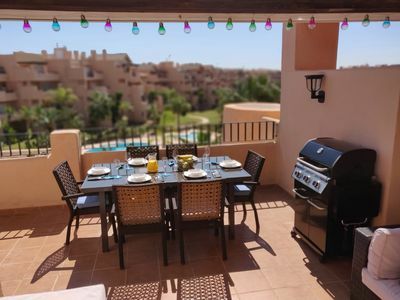 Each apartment features bedrooms, bathrooms, a kitchen, living and dining rooms, and shares common areas such as the garden, pool, and barbecue zone. 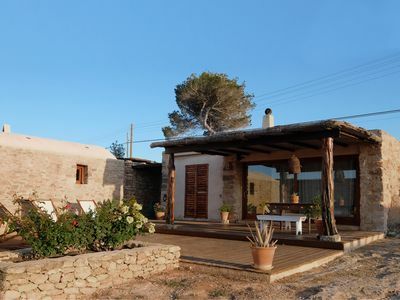 On the ground floor of this beautiful property you will find Apartment 1 of 60 square meters, which sleeps up to four people. It is adapted to accommodate guests with limited mobility. The two bedrooms are as follows: one has one double bed, and the second bedroom has two single beds. There is a bathroom, kitchen with appliances, and dining area for 4 guests. 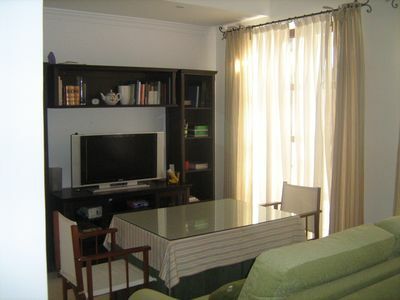 On the second floor (the middle floor), there is a lovely apartment of 60 square meters for 5 people. It contains one of the original rooms from the 17th century with fortified walls. 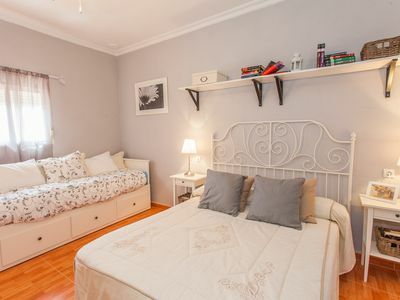 This apartment has two bedrooms: one with one double bed with the possibility of adding an extra bed, and another room with two double beds and a bathroom. Apartment 3 is on the top floor and is 120 square meters. Six people can sleep in this apartment. There is a special barbecue fireplace in the living / dining room area. This apartment has 2 bedrooms: one with a double bed and another one with four single beds and a bathroom. It also has a large dining room suitable for 15 people. 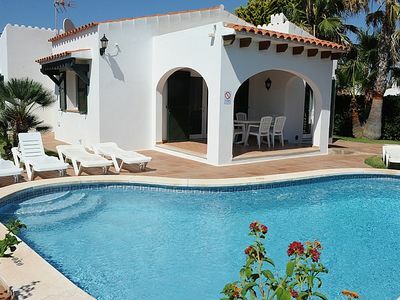 The grounds of the villa have playground games, swings, a lawn/garden with ample space, a private pool area with sun loungers, tables, and lots of summer sun. 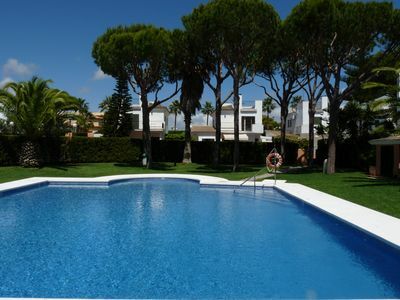 In addition, the villa is just 500 meters from the municipal tennis courts. 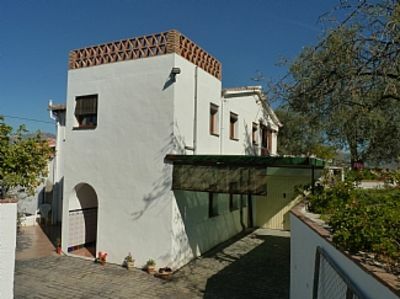 This incredible property is located in the southern region of Solsonés (municipality of Llobera), at 885 meters above sea level, where there are many sites of interest for travelers who like to enjoy unique places full of history. The region is the geographical center of Catalonia and is ideally located within 100km to everything in the area: Barcelona, Lleida (Alguaire Ave-Airport), Andorra, and France. *This property allows families only. 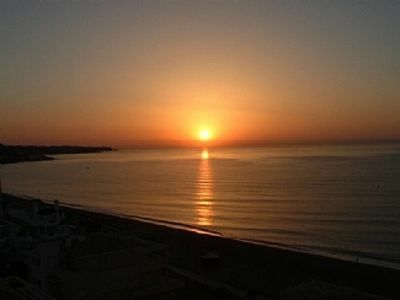 Luxurious detached villa near Benidorm private pool,fabulous sea views.